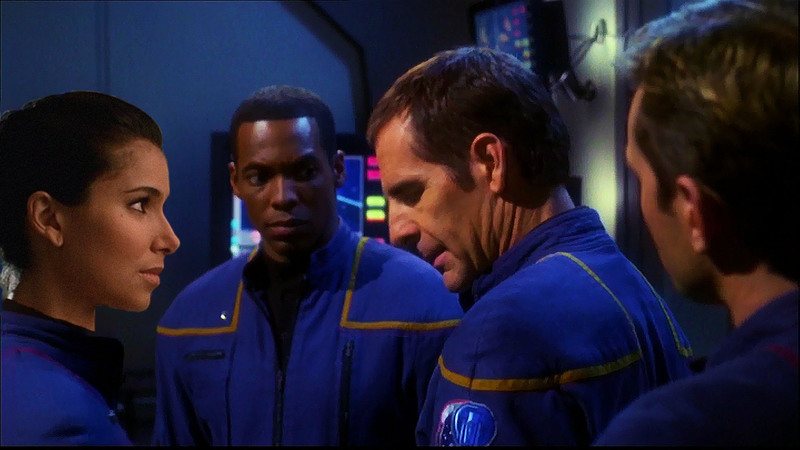 Back on board, we have a short scene between Trip and the tactical officer, a friendly and yet professional summing-up of a kind that is common enough between men on Trek, but not so often seen between men and women. Then follows a bridge scene during which everyone gets to contribute, but how much nicer – how much more Star Trek – if half of the bridge crew were women, and half were POC? Farther down the line, ‘Harbinger’ opens with the first/only female MACO who gets any number of lines; interestingly, she and Trip are discussing the Enterprise’s tactical officer, whom Trip describes as the one ‘you’d want watching your back’. This is followed by a scene where Archer orders his tactical officer to take part in training sessions run by Major Hayes; so as it stands we have a scene with a white man praising another white man who then goes into a confrontation with another white man about taking orders/guidance from a fourth white man. It would break things up a little to have Lt Nica Cabello in place. Following Enterprise’s arrival at the bubble-bath of anomalies, the grappler is brought out – with the tactical officer at the controls – and then, as the episode stands, it’s all white boys to the batpole to witness the emergence of the (male!) alien. This is an instance where my social seems to conditioning make itself felt; it’s actually difficult to picture Nica helping Trip remove the end-section of the alien craft (even after 7 seasons of Torres/Janeway/Seven getting their hands dirty). But isn’t that precisely why we need to see more such scenes? Hayes and our tactical officer fight; I do relish the image of Nica holding Hayes down and saying: ‘See, you were looking at my hands, when you should have been looking at my eyes.’ A subsequent line, ‘You just can’t stand taking orders from me’ would have a very different possible reading; it might have been altered for a female character, but then this whole arc would almost certainly have played very differently with Nica opposite Hayes, and it’s worth considering, even after the examples of Yar, Ro, Kira and Jadzia (even ignoring the Voyager women! ), what it says about the default assumptions about men and women still operating here. Security alert! And the feuding officers lead their all-male team into action. 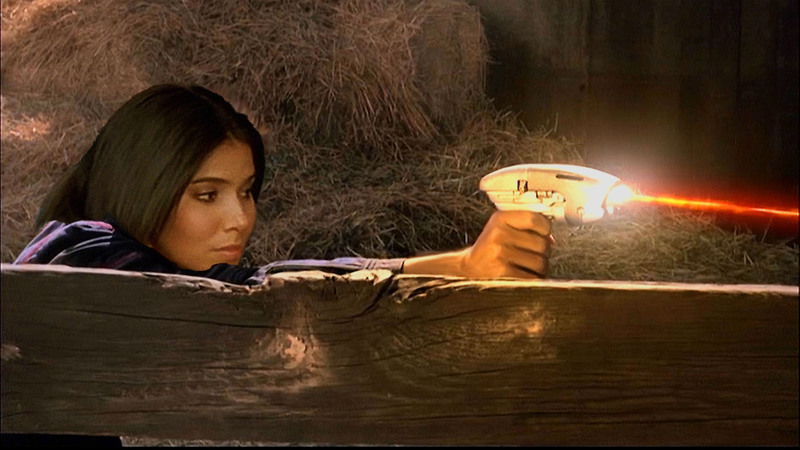 The ship is saved by action on the part of Enterprise’s tactical officer, which set me to wondering how often the crucial final step in an episode has been taken by Archer, Trip or Malcolm as opposed to say, T’Pol or Hoshi… anyway, in my Enterprise AU, Nica saves the day. Jump to ‘The Council’. 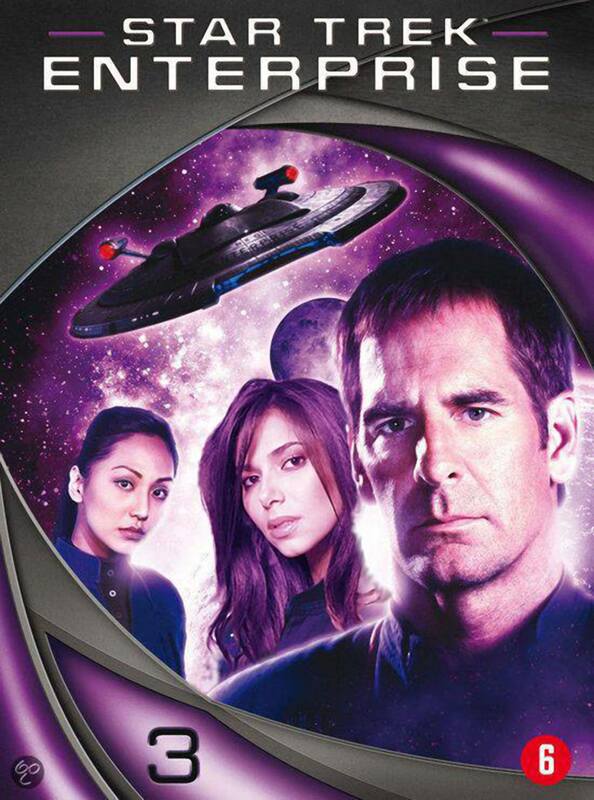 The cold open features the power behind the Xindi, the apparently all-female aliens who feel rather like warmed-over changelings… The presence of these aliens does mean that we have a near-record-breaking three female guest stars – but two of them come right at the end of a list that includes seven male guest stars. ‘Countdown’. Hoshi does at least get to show some steel here. But the most significant thing about this episode from our point of view is that it brings to a close the Major Hayes arc; we clearly see the respect that Hayes now has for the Enterprise’s tactical officer. And Nica gets to deliver an important line in the strategy session between Starfleet and friendly Xindi: ‘We’ve been outgunned before, sir. We didn’t come all this way to give up without a fight.’ With Hoshi a prisoner and T’Pol working on the sphere problem, Nica is the only woman involved here (although we do find out in a later scene that one of the aquatic Xindi is actually female); at the moment the aquatics finally lend their support, Archer is left nowhere to look in relief but tactical. His officer gives him a nod and half-smile of support. White person convention around the captain’s table for a final meal, while Nica is in charge of the bridge. And when the crunch comes, Nica is the one on point, the one on whom the battle depends. Archer: Feel like taking them on? Cabello: Give me the word, sir. However, all is not lost re the MACOs, as the dying Hayes recommends a female officer, Mackenzie, as his successor. Great. However, when Nica has to report Hayes’ death, she speaks to seven men, with nary a sight or sound of a woman. At least Nica is Archer’s right hand for the final mission to destroy the weapon. In the final battle, with her rivalry arc concluded, Nica’s main contribution is disposing of the final reptilian and then getting Hoshi and the others to safety. The grand heroic gesture is left to Chief White Guy, obviously, but at least it’s not just another white guy getting the others away. And of course it is also Nica who has to deliver the crushing news that Archer (apparently) didn’t get out alive. Everyone is affected by this news, of course, but the only exchange of words is between Trip and Nica. 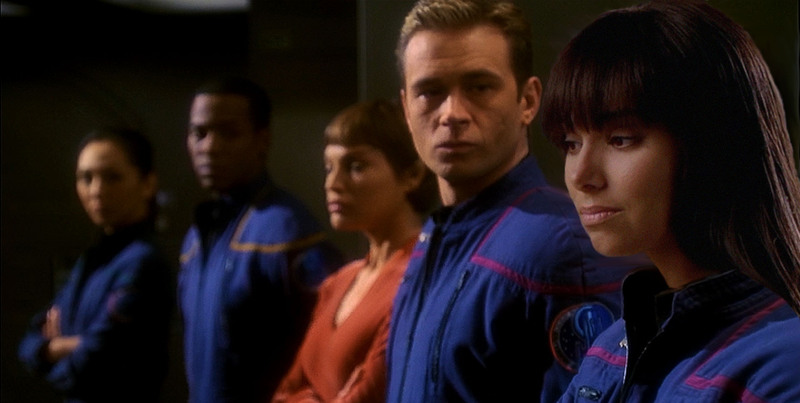 As Trip’s confidant and effective equal, as Archer’s right hand in crisis situations, and as a character both threatened and threatening, Nica Cabello is a lynchpin of Enterprise’s third season. Extra info not necessary for the post: according to the book I got it from, ‘Nicanora’ means ‘victorious army’, which seemed appropriate for a tactical officer, but of course the real reason I wanted to use it was so I could imagine an episode called ‘Nicanora’s Infinite Playlist’. I would LOVE to hear a Women at Warp podcast discuss this very issue. Can you Ladies Make it So?